To round off 2017 we've gathered together a vast collection of some of our best moments from the last 3 years by artists who continue to make our Bonzai Progressive sound unique and ahead of the game. We pride ourselves on our output, we only give you the very best and we continue to work tirelessly seeking out new talent while providing a platform for established artists to unleash their sounds. 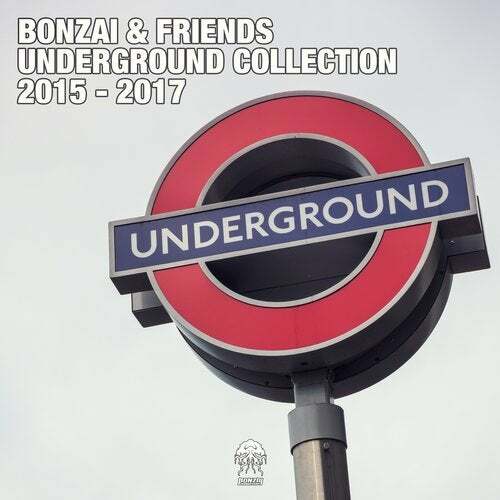 The Bonzai & Friends Underground Collection features 100 tracks and remixes from artists such as Airwave, L.S.G., Phi Phi, Manu Riga, Gai Barone, Thorin, Stan Kolev, Rick Pier O'Neil, Crocy, Matan Caspi, Nico Parisi, AudioStorm, John 00 Fleming, Alex Vidal, Oliver Lieb, Jam El Mar, Rise and Fall, Cherry, Roddy Reynaert, Yuriy From Russia, East Cafe, Gabriel West & Ricardo Piedra, Quadran, Iga Dep, Relaunch and Audio Noir to name just a few. Boost your playlist and ensure your crowd is given an ethereal experience, you know it makes sense.